Girls Inc. of Long Island has plenty of camps to keep your daughters off the couch and eyes off their phones this summer! Deer Park, NY - June 19, 2015 - Girls Inc. of Long Island has plenty of camps to keep your daughters off the couch and eyes off their phones this summer! From tennis to coding, there are plenty of options to keep her mind stimulated and body active. There is a $100 registration fee with a limited number of scholarships available for each camp. Thanks to a generous grant from USTA- Long Island, Girls Inc. is kicking off summer with its third annual Tennis and Wellness camp at Central Islip High School during the week of July 13-17, 2015. Camp meets every day from 9AM-3PM and includes tennis instruction, nutritional education, college preparation, and self-empowerment activities for girls in grades 9-12. Other summer camps include an Engineering for Science Camp during the week of July 27-31, and a DNA Science Camp from August 3-7, both at Brookhaven National Laboratory from 9AM to 3PM. Girls will learn to construct DNA models, use compound microscopes to study cells, tour the laboratory and be exposed to the latest cutting-edge experiments. Both are available to girls in grades 6-8 with free transportation from specific drop off locations in Central Islip, Patchogue, and Riverhead. Girls Inc. of Long Island will hold its first annual Summer Coding Camp this July 20-24, 2015, sponsored by PSEG Long Island and hosted by Dowling College in Oakdale from 9AM-3PM. Girls in grades 9-12 will have the opportunity to engage in hands-on, exciting, interactive coding challenges and learn from tech industry leaders in a supportive group mentoring environment. Girls will discuss college preparation, female entrepreneurship and participate in health and wellness activities. Lunch is included. To register, click here. For more information, visit online or call (631) 940-3749. 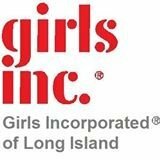 Subject: LongIsland.com - Your Name sent you Article details of "Girls Inc. of Long Island Hosts Summer Camps"